Roulette solution is very well promoted software that performs a statistical analysis of real wheels to find a potential bias (numbers that spin more frequently due to wheel defects). Despite the appealing and professional promotional material, the software itself is next to useless. The first thing I noticed from their sales material is they claim roulette bias is the only way to beat roulette. This is untrue. 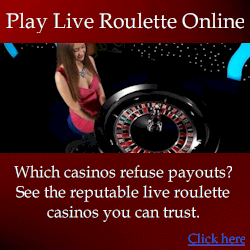 In fact there are many legitimate methods to beat roulette, including but not limited to visual ballistics and roulette computers. 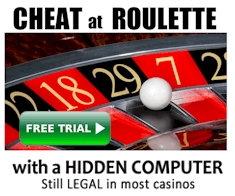 The software itself is designed by someone with poor knowledge of roulette – as if they came across old bias analysis techniques and decided to make a product from them. While wheel bias analysis does work, it is nothing new. More importantly, while biased wheels do exist, they are very rare because casinos have automated software that tells them if their wheel is biased – and they do a much more thorough job than the roulette solution software. To find and properly exploit modern biased wheels requires you to be more thorough than software the casinos themselves use to test their own wheels. This means you need a lot more than a basic statistical analysis of “which numbers spun most”, although this is ultimately all you get with the “roulette solution” software. There is far more to modern bias analysis than this. If bias analysis interests you, you will find free software and information I provide to be far more useful. Learn more about the FREE bias analysis course and software I provide. I give it away for free because there are much better ways to beat roulette that I teach: quicker to use, more practical, and much more profitable. just wanted to post a review on roulettesolution.com i tried this software for 3 days as a trial offer i played at live casino & i must tell i was amazed with the result in two days i earned 100$ there was some fluctuation but i was up at the end.The software gives 14 numbers to bet on which are most repeating no’s well the author calls it bias.i will not say it does’nt work it works but you need to bet including other no’s along with the 14 no’s.at the end it’s a great tool to have. But let’s assume you won money with it. Bias deals with thousands of spins, which is many weeks of play. Bias is not a short term thing. If you played a suspected bias over 3 days and won $100, this tells you nothing. Additionally, correct bias analysis does not limit you to betting a specific amount of numbers. To do it correctly, you must bet whatever the analysis says you need to bet. I’m sorry to say roulette solution appears to be a quick knock-up system based on freely available information about bias analysis, and whoever created the program has little experience with beating roulette. ie it is a system made to sell. Sure bias analysis works, but if you are using 100 year old techniques, the only winnings you will achieve today with such an approach are short-term and from plain luck.